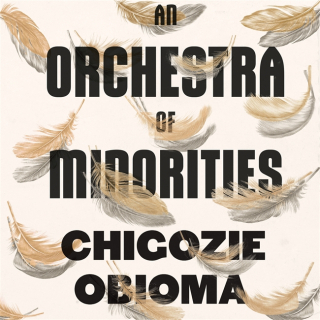 An Orchestra Of Minorities - ubiq bookshop: the best place to buy books! Umuahia, Nigeria. Chinonso, a young poultry farmer, sees a woman attempting to jump to her death from a highway bridge. Horrified by her recklessness, Chinonso joins her on the roadside and hurls two of his most prized chickens into the water below to demonstrate the severity of the fall. The woman, Ndali, is moved by his sacrifice. Bonded by this strange night on the bridge, Chinonso and Ndali fall in love. But Ndali is from a wealthy family, and when they officially object to the union because he is uneducated, Chinonso sells most of his possessions to attend a small college in Cyprus. Once in Cyprus, he discovers that all is not what it seems. Furious at a world which continues to relegate him to the sidelines, Chinonso gets further and further away from his dream, from Ndali and the place he called home.